Before even knowing that “Product Design” exists Nadine Meisel participated in a competition in Germany about “The most original seat” to which hundreds of different seats from all over the country were handed in and exhibited in the streets of Mannheim. She handed in her boyfriend, who is the most comfortable seat in various situations. “boyfried as seat” was exhibited between all the other seats, stood various testings by visitors and the jury from all over Germany, and finally got awarded with the 3rd prize. 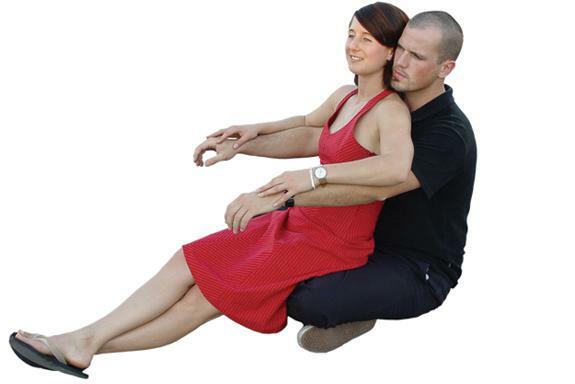 “boyfriend as seat” works in many different positions, by voice control and the energy of love. He is sustainable, versatile, mobile, biodegradable, naturally reproductive and can be easily dressed with different textiles adapting to different seasons and tastes.